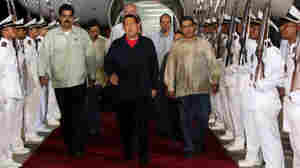 February 15, 2013  The pictures were the first of Chávez during his 68-day absence. The Venezuelan commander is in Cuba for cancer treatment. January 8, 2013  The announcement by the government confirms suspicions the president's illness will keep him in Cuba past Thursday when he was scheduled to be sworn in. 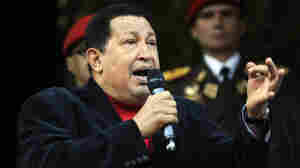 Chavez underwent his fourth cancer-related surgery in Cuba last month. December 12, 2012  The Venezuelan president is recovering in Cuba after an operation on Tuesday targeted an aggressive cancer. It was his fourth cancer-related surgery in Cuba, and comes after he won re-election last month. November 27, 2012  Hugo Chávez is returning to Cuba for treatment related to cancer. He does so about a month after winning another term during a hard-fought reelection campaign. February 13, 2012  Taking the primaries handily, Henrique Capriles said it was time to end Chávez's socialist experiment. 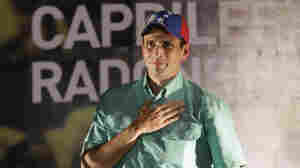 Capriles says he admires Brazil's "modern left" economic model. 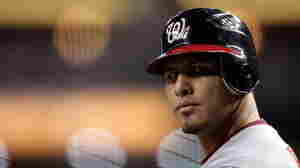 November 10, 2011  The Washington Nationals catcher was abducted Wednesday. He's thought to be the first major league player to have been kidnapped in Venezuela. But other players' families have been targeted in recent years. July 25, 2011  Treatment for cancer has not dissuaded Venezuela's Hugo Chavez from planning to run for re-election in 2012. 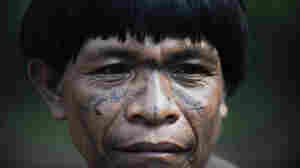 In fact, he says that he would like to make it to 2031.